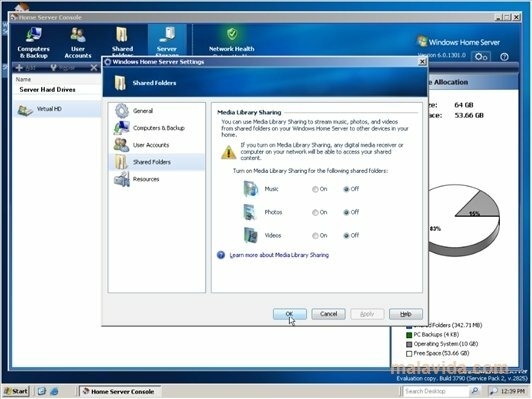 Windows Home Server is an operating system developed by Microsoft to create small domestic networks through which it is possible to share files, perform backup copies and monitor the security of the intercommunicated computers. 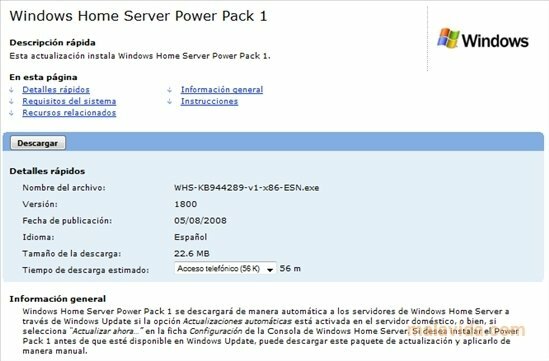 As it happens with other systems developed by Microsoft, after some time update packs, that gather all the necessary security and performance improvements, are published. These updates also add new functions to the systems. - View the miniature of an image file when it is accessed remotely. - Compatibility for Windows Vista 64 bit systems. - Improved the backup system. - Optimized the “System Health Monitor” function. 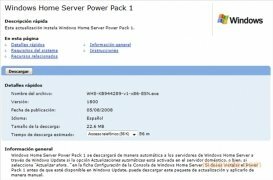 Download Windows Home Server Power Pack and improve the performance and the features of this operating system.